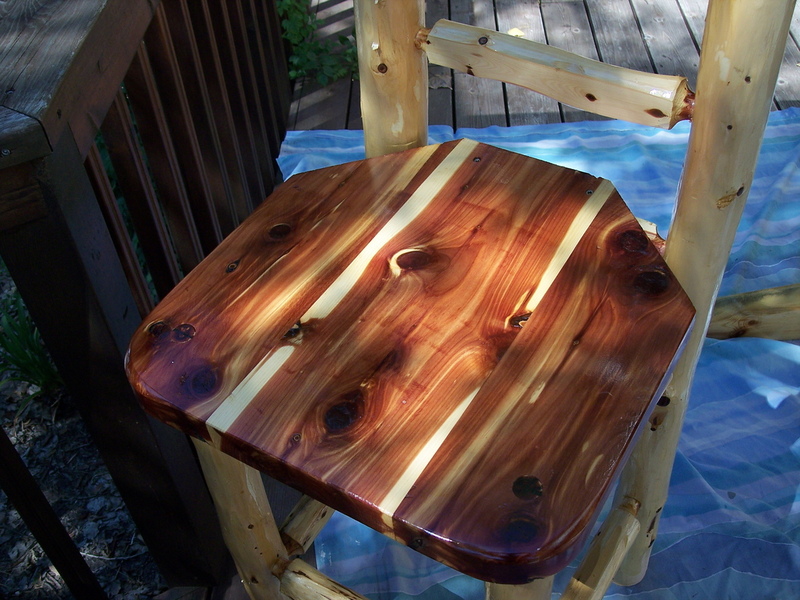 Cedar by its very nature is rustic. But, it doesn't have to be crude. 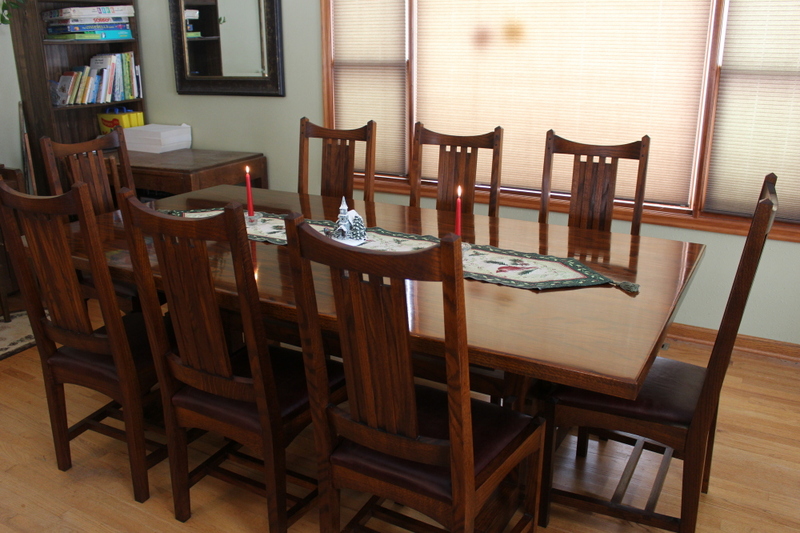 The tops and legs are made of cedar, the top is trimmed in walnut, the pegs and wedges for the top are made of walnut, offering a nice combination and a beautiful table. 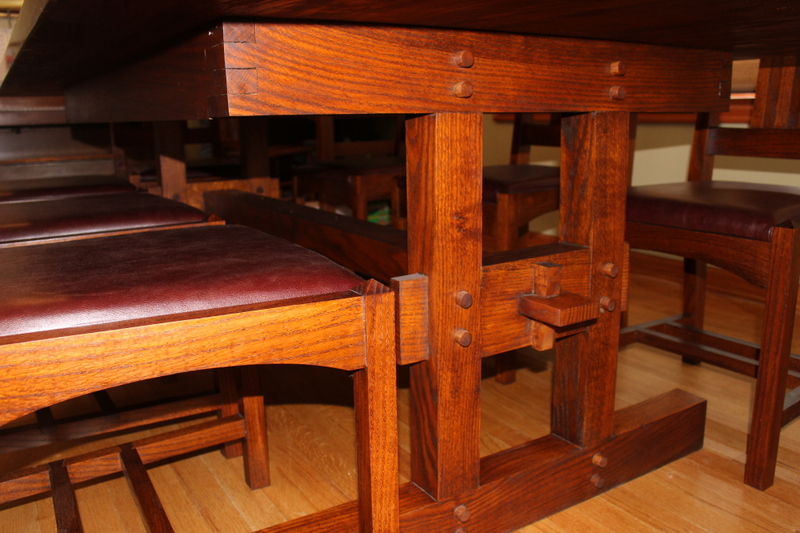 This arts and crafts style table and chair set was part of a custom order. It's oak. I started with the logs, and I had to build a kiln to kiln dry the lumber. It was a long process. I think it turned out very nice in the end. 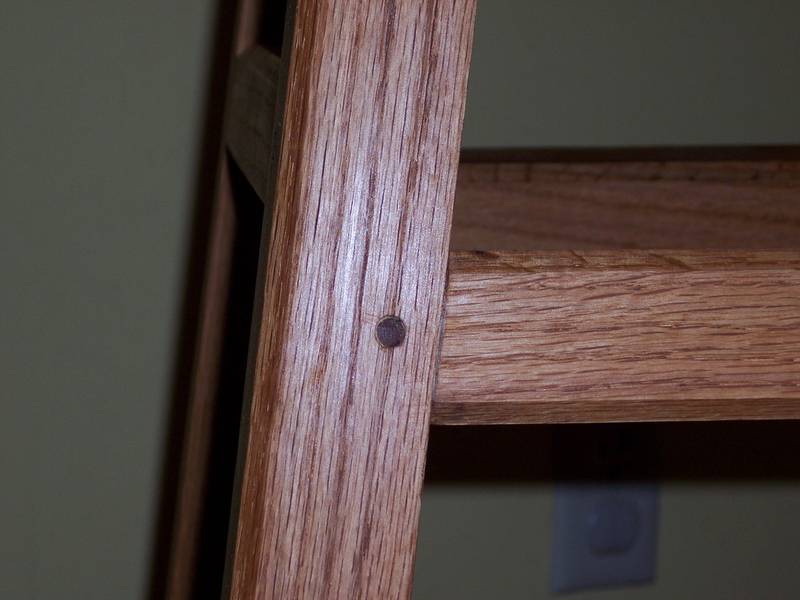 This is part of a custom order bar height table and chair set. Not all of the chairs are pictured. 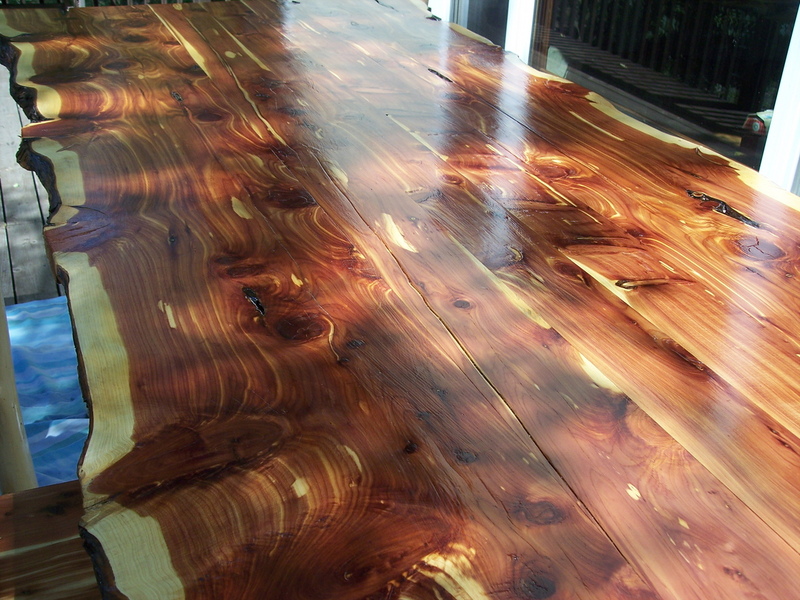 A thick live edged cedar top is going to be beautiful no matter what type of legs are put under it. 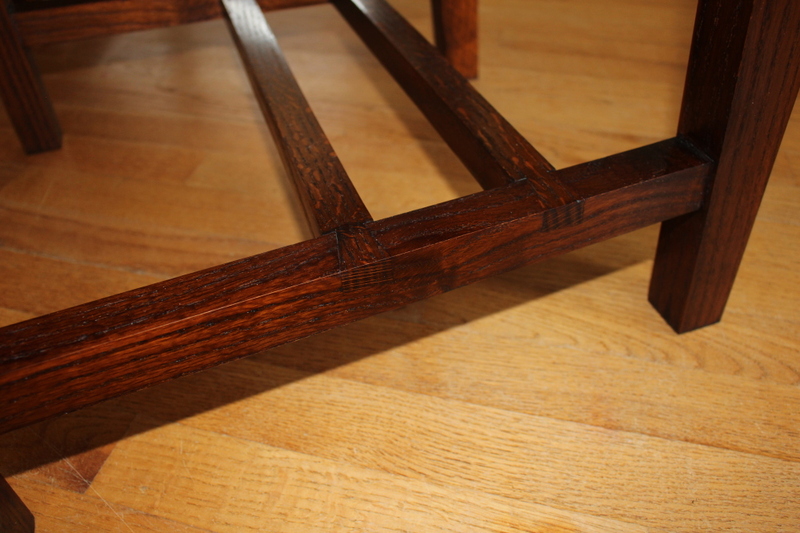 For this project I opted to build the table on a timber framed trestle base. 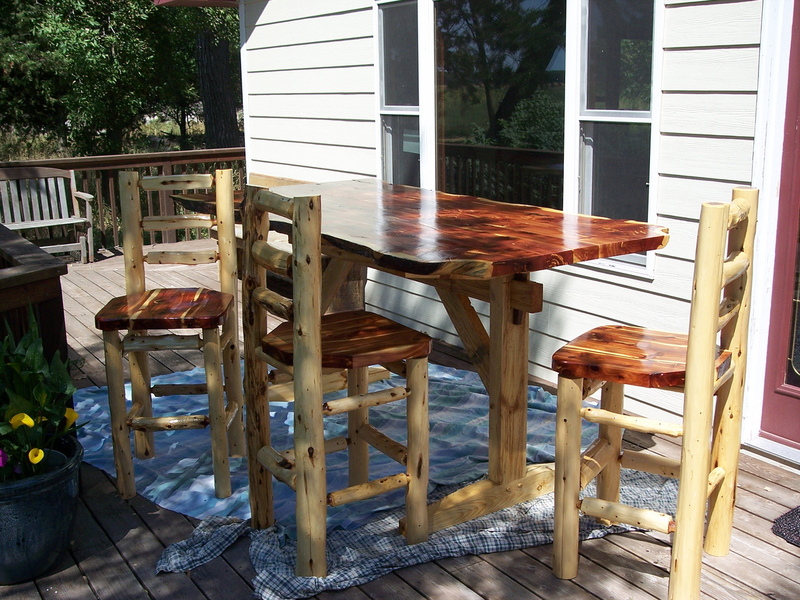 This particular table and chair set is going to be used outdoors on a covered deck. But, I think it's nice enough to be used indoors as well! 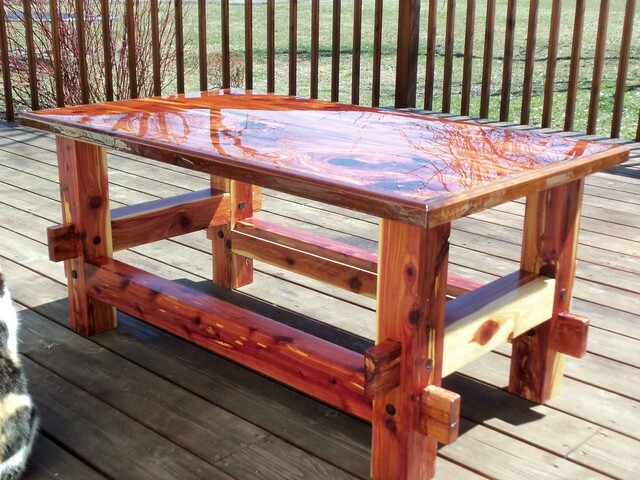 Here's a rustic live edged coffee table. 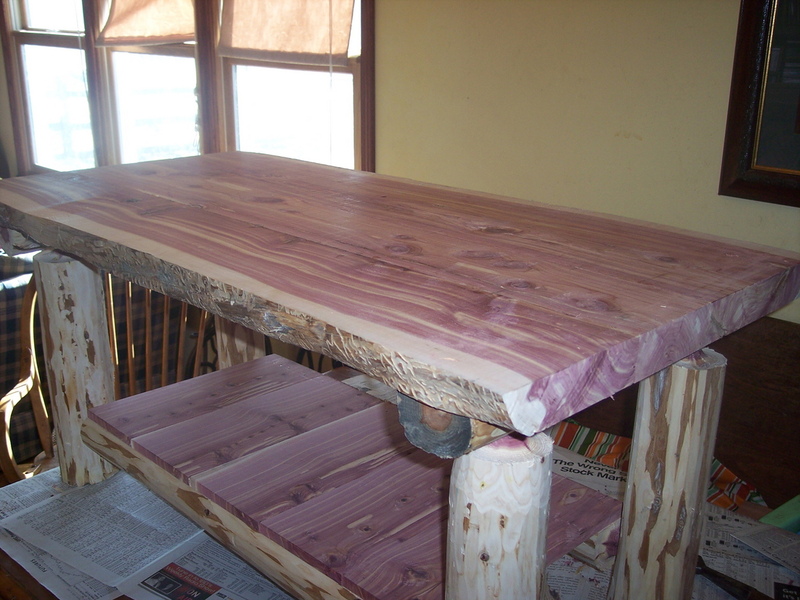 Cedar poles were used for all of the frame and of course everything is mortise and tennon joined. It is shown unfinished as the customer wanted to put their cattle brand on it before finishing it. It turned out very nice! 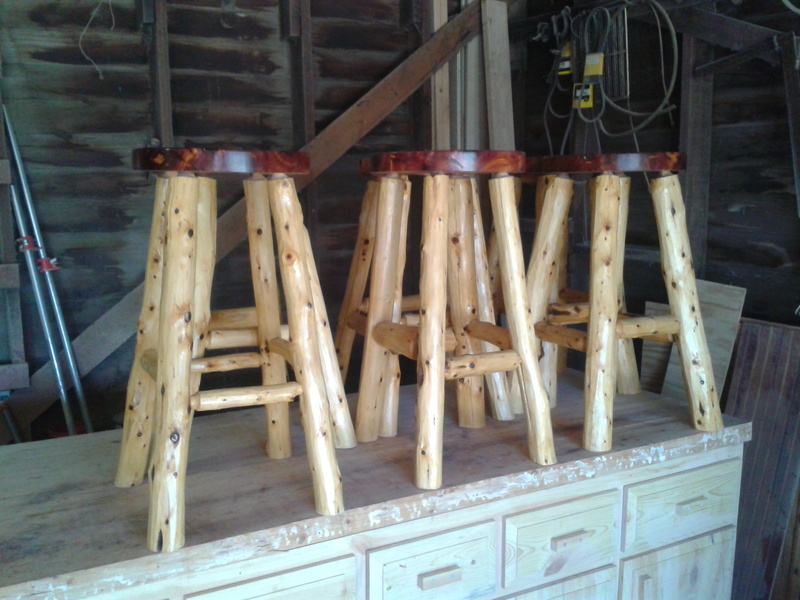 These rustic bar stools all cedar. 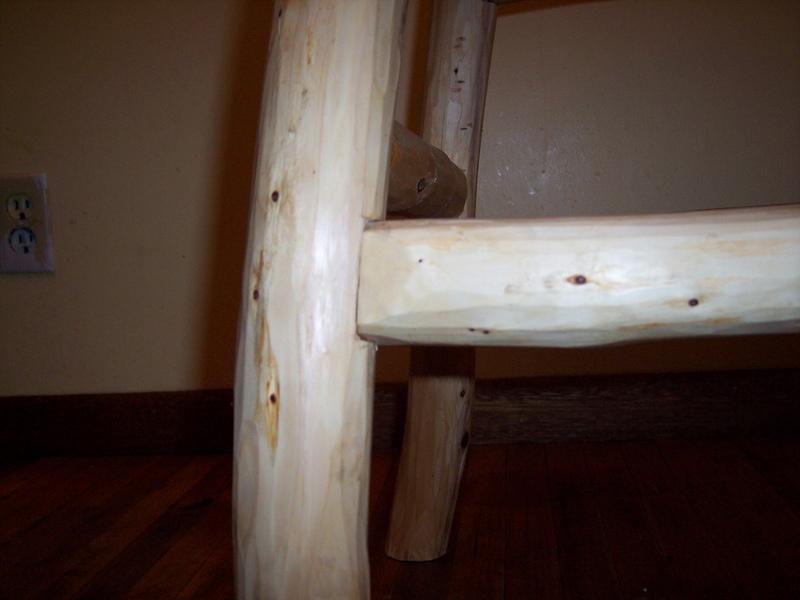 The legs and stretchers are made from cedar poles hand peeled with a drawknife. 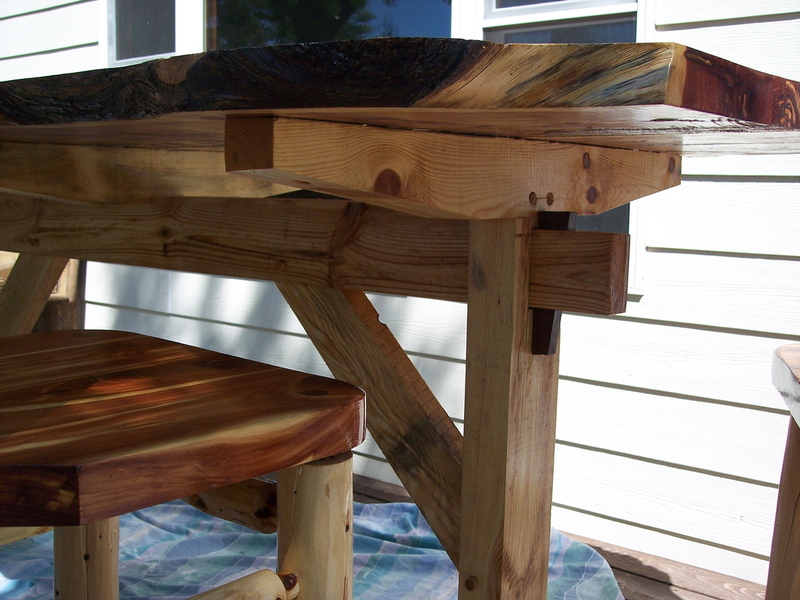 Every branch is a little different so every piece of furniture made this way is going to be one of a kind! It's all about the wood! We mill most of our own lumber from logs, and in a lot of cases we log our own timber as well. So, there are a lot of stages along the way for the wood to "talk to us." We try to work with nature and not against it. 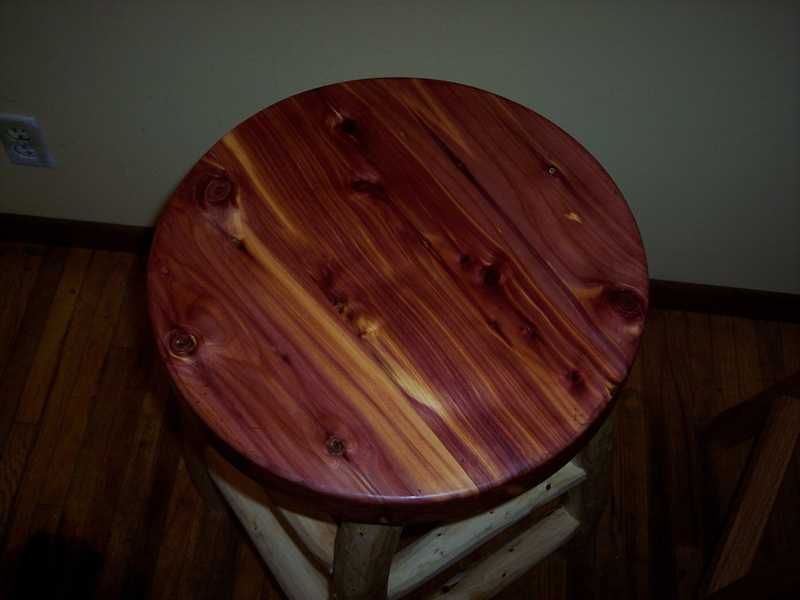 Of course, we get a lot of Eastern red cedar as this is a cedar producing area. But, we also have access to burr oak, ponderosa pine, american elm, and several other native species. We use what the forest will give us, and do the best we can with it.